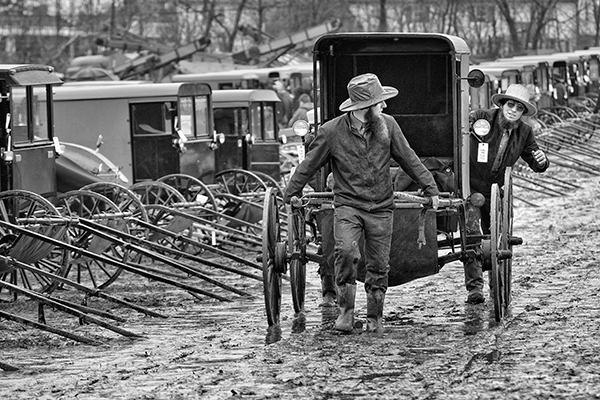 This little scene played out at the mud sale and thankfully I was ready to capture it. 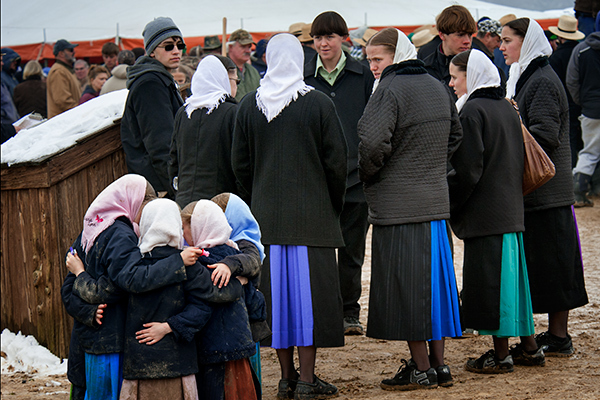 The six little Amish girls in the foreground were talking and eating candy when all of a sudden they spontaneously wrapped their arms around each other and gave a big group hug. It only lasted a few moments but it was so special to be witness to youngsters caring for each other. This passing buggy reminded of the steampunk creations that many people make from industrial items.The mechanical item on the buggy looked like it was some sort of turbo charged addition to make the buggy faster. Steampunk is a fictional genre that combines science fiction and fantasy and people create things that look like real items from an imaginary Victorian era. 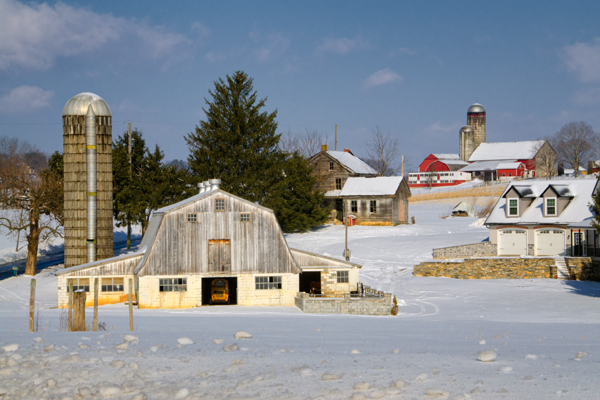 Farms are scattered across the landscape in this winter scene. 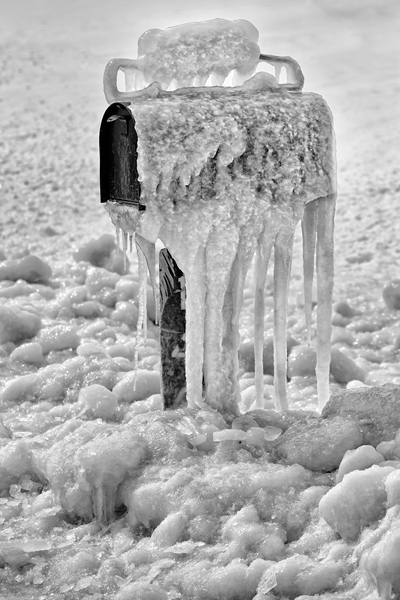 This mailbox is coated in ice and is almost unrecognizable. 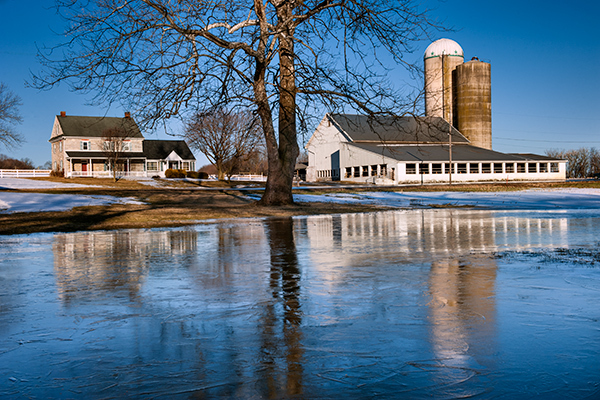 This icy reflection includes both the home and barn and thanks to heavy rain and snow melt,this great scene was there for me to capture. 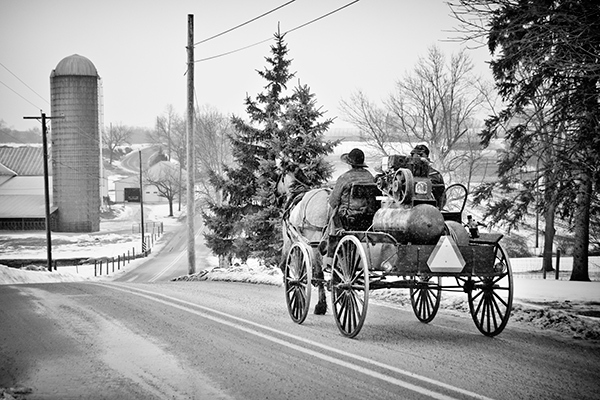 This Amish man prepares to head out on a snowy winter day. It could either be four-wheel drive or four hoof drive.